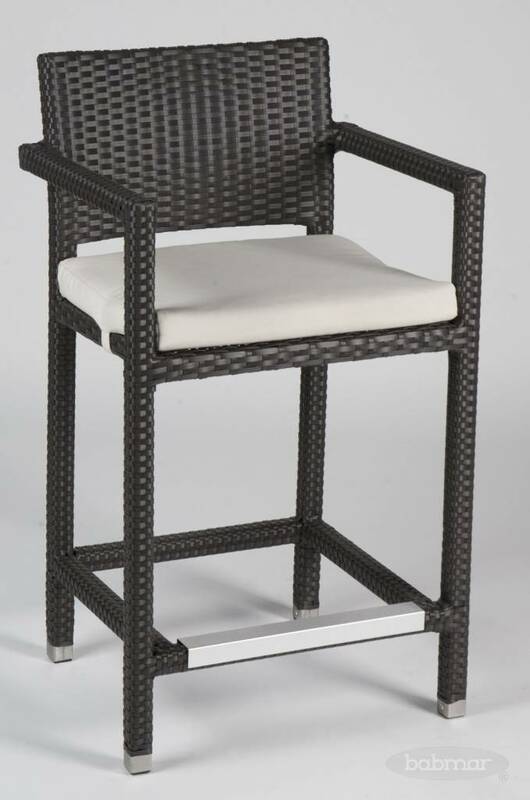 The Vertigo Counter Height Stool with Arms is perfect for spaces that are already equipped with a counter height bar. With its sleek contemporary design, this Vertigo Counter Height Stool would compliment any modern space. Comprised of Babmar Fiber®, the vertigo bar stool with arms is able to withstand the harshest of elements with a style acceptable for indoor use.